So this recipe came up as one of those “use what I have at home to create something” recipes that I ended up falling in love with! 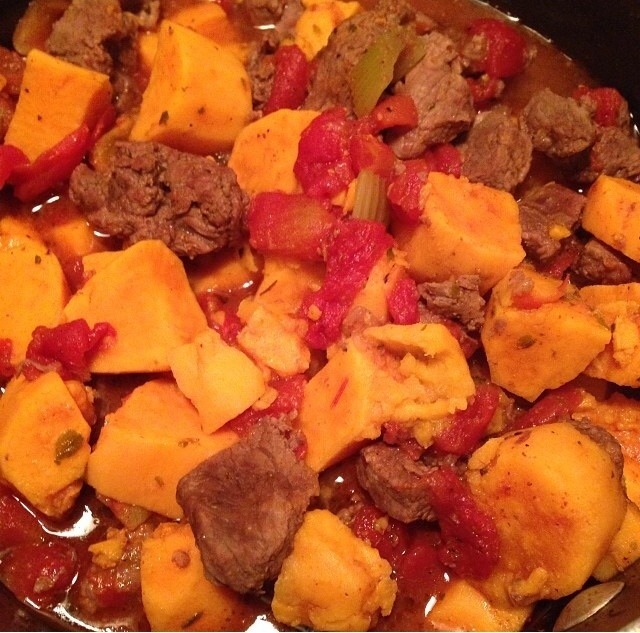 -Add in chopped tomatoes, black pepper, celery, carrots and 1 cup of water and let simmer for about 15 minutes. – when potatoes are done your meal is ready!